Inventory is often a challenge for organizations. While shortages can be damaging and overstock situations can turn costly for product-focused businesses, field services businesses have to manage these while working with much less warehouse space while working with inventory spread across multiple vehicles and locations. Add to this the high levels of competition, challenges in obtaining some parts, and the fact that many calls you receive are urgent, and it becomes even harder to keep the right balance. Compared to a product-based business, in which you produce and sell products, field services businesses have to put much of their inventory into service when completing an installation or repair. Following our last blog on the importance of an integrated and focused field service product, as well as some necessary features, we would today like to dig into inventory management for field service companies. Inventory is an expensive and risky part of any business. Not only do you have to purchase it, once it hits your storage facility, it immediately starts to cost you money. Add to this the potential for obsolescence, theft, or deterioration, and it quickly becomes more costly. One of the things that separates field service businesses from other services-based businesses is the heavy use of inventory. In field services, tools and repair parts are typically spread across multiple vehicles and warehouse locations, and tracking each item efficiently is a necessity. This is especially so when companies install expensive equipment or work with a wide range of products, many of which would be inefficient to store. Inventory optimization is a necessity, and every item—whether it’s on a truck or in a warehouse—needs to flow through the business. Integrating inventory and purchasing makes replenishment both easy and user-friendly. Anytime, Anywhere Access: With products spread across your fleet of service vehicles and warehouses, your inventory management can’t be tethered to your office. A good inventory management solution should offer secure access from anywhere, ensuring that only the people who need the information get it. Multiple Warehouses and Storage Locations: Manage multiple warehouses with location-specific inventory quantities, allocations, and costs. Redistribute inventory from a central warehouse to other warehouses automatically upon receipt. Assign specific access rights for each warehouse to determine who can access information and enter transactions. Multiple Valuation Methods: Use standard cost, moving average, FIFO, and itemspecific methods. Select a different valuation method for each inventory item. 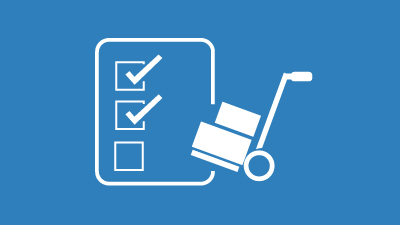 Make direct adjustments to cost and physical inventory count using report and inquiry screens. Lot and Serial Numbering: Track inventory by lot or serial number. Assign or enter lot/serial numbers on receive, issue, or assembly. Associate item-specific valuation methods to serial numbers to track specific costs. Easy Data Entry: Save time entering data with inventory sub-items and flexible screen layouts, reducing errors and automating the inventory management process. Integration: You need a 360-Degree view of your operations, and this all starts with integration. Inventory should be integrated with purchasing, equipment information, and more, offering a complete picture of what’s in use and what you need. Since releasing their field service edition, Acumatica has continued to deliver on their highly focused, extremely usable product to simplify the process of managing finances, installing and maintaining products, and working with technicians to deliver exceptional service. At Cloud 9 ERP Solutions, we have a history of successfully delivering Acumatica for our field service clients, especially those in the A/V industry. Learn more about Acumatica, read our success stories, and contact us for a free consultation.